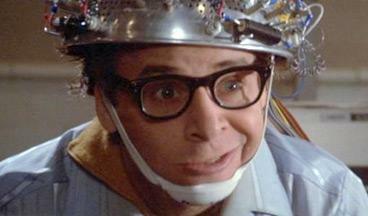 Rick and Morty has many, many sci-fi influences, some obvious, some obscure. 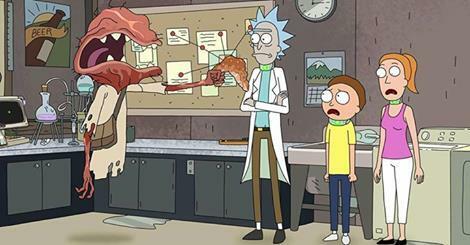 While the Rick and Morty Season 2 premiere, “A Rickle in Time,” is pretty self-contained, mostly taking place in the Smith family garage, there are still a number of references to excavate and explicate. 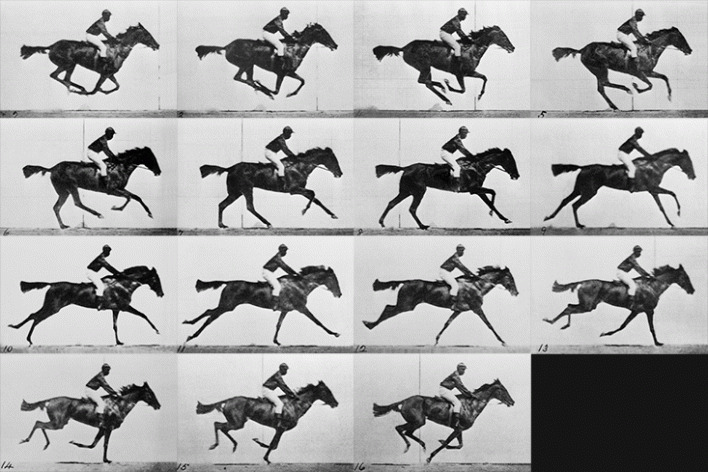 Every Refernce in Episode 1 "A Rickle in Time"
Eadweard Muybridge was a photographer who fancied himself a scientist, taking stills and early motion-pictures to capture and describe the movement of humans and animals. His work was an early influence on animation techniques. He also loved taking lots of photos of naked ladies, “for science” being the ultimate excuse. Rick straight up explains this one. What are these cats doing floating in the void of uncertainty between reality and not-reality in the Rick and Morty Season 2 premiere? Why, they must be the famous experimental cat, existing in a state of quantum uncertainty. “I think the big pistons are Justin saying, ‘I really want this random thing.’ Just something so random that he couldn’t possibly be lying when he says he really wants it, because it doesn’t make sense that he would want it, so why would he lie? It’s not him saying, ‘I really want to win an Emmy by exploring feminism.’ It’s him saying, ‘I really want a Testicle Monster.’ It’s so specific and so random. That’s not Justin’s sole contribution, but it is the plutonium rod that powers the DeLorean. But that’s not it for the Testicle Monster. Could this guy be any more obviously a Langolier? 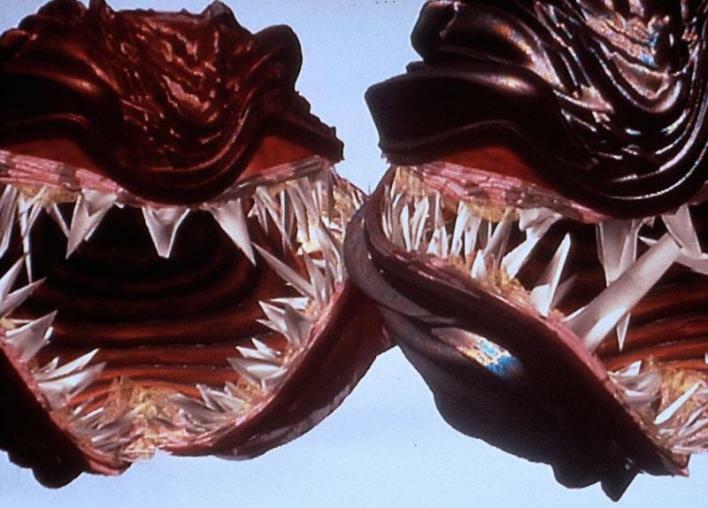 Appearing in a Stephen King novella and a wretched but fascinating TV movie, the Langoliers are monsters that follow in the wake of the present moment, eating up old time. They are time’s enforcers… just like the Testicle Monster. 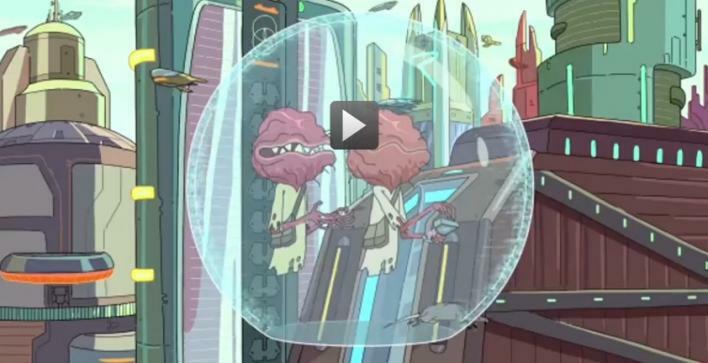 Rick dropped this burn in the Rick and Morty Season 2 premiere when Summer and Morty trusted the evaluation of the time-travelling testicle monster over his own. David Berkowitz is probably a familiar reference for old people like Rick, but it almost certainly sailed over Morty and Summer’s heads. Berkowtiz is the Son of Sam, a New York serial killer from the 70’s. The testicle monster time cop has a worm gun (named Grizz) that can mess with your time. It eventually runs into the street and gets run over by a car. From Rick and Morty Season 1 we know the Rick and Morty writers are very into David Cronenberg’s gooier aesthetic preferences. Is Grizz a reference to the gross biological weapons of eXistenZ? Maybe not explicitly, but it’s hard to imagine that Jude Law’s tooth-firing monstrosity didn’t at least come up in conversation during the writing of Rick and Morty Season 2 Episode 1. The Testicle Monsters beat up Einstein for “messing with time.” Do I need to explain this one? No. I won’t. Seriously, forget it. 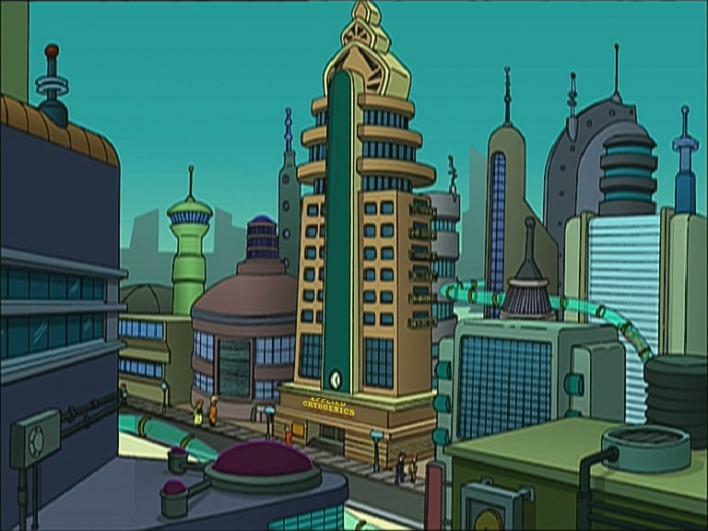 Doesn’t this city, seen from the inside of the Testicle Monster’s time travel bubble, look a bit like the architectural stylings of Futurama’s New New York? No? Just me? Okay, maybe we better end this here then. 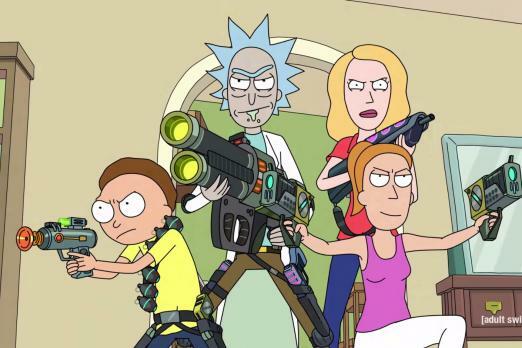 Rick and Morty Season 2 premiered on July 26, which means we have nine more episodes to look forward to before the long wait for Rick and Morty Season 3.